Sometimes I consider myself a golfer, and regardless of how well I play, I really enjoy the sport. I’ll play 10-15 times a year, and there are occasional holes where I think that I am a decent player. One of my main complaints about this as a hobby is the amount of time that it takes away from my wife and kids. I’m typically limited to vacation golf, 9-holes after work, or the rare tee time early Saturday morning with a friend. A few weeks ago I asked Stephanie, my wife, to go play golf with me for our weekly date. She is not a golfer, but she got really excited about getting to drive a golf cart, and doing something different on our date night. We had a blast together. I felt loved that she’d want to spend time with me doing something I really enjoy, she felt loved that we’d been adventurous on our date night. It was a win-win. It later occurred to me how important it is for us to have something we can do together that is beyond our day-to-day lifestyle. We had kids within the first 2 years of marriage, and our normal interactions quickly swayed to become kid-centric. Part of what was so nice about playing golf that evening was that we were able to spend time together in a very different setting. 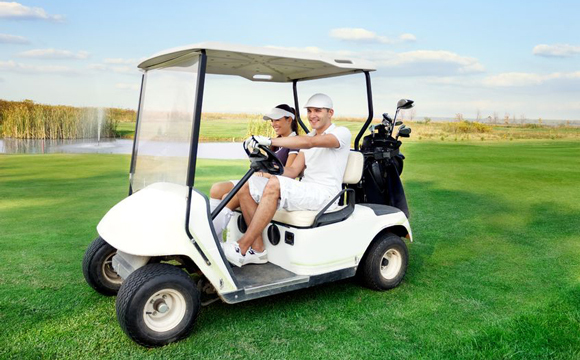 We usually relate and date face-to-face, but playing golf was a shoulder-to-shoulder experience. Men typically build relationships through doing things alongside another person. In a shoulder-to-shoulder setting, both parties are next to each other facing a common goal, problem, or activity. We usually need a sport, event, or job to make a connection with someone. Not that it always happens this way, but need shared experiences to deepen relationships. One of the reasons for this is our capacity for intimacy. While we have the same need and capacity as women, it usually takes a longer time to develop. Patricia Love and Steven Stosny in their book How to Improve Your Marriage Without Talking About It explain research that proves male babies have a harder time holding the gaze of their mother than do female babies. There’s an intensity to intimacy that men have a difficulty with in large doses. Women, however, typically build relationships face-to-face. This face-to-face setting means that sitting across from one another in a living room is the only context needed for relationships to happen. Experiences bring women together as well, but they don’t need an event or sport in order to connect. It’s pretty typical, perhaps even a bit cliche’, for a couples’ date night to be dinner and a movie. The reason this works so well is that it addresses both types of relational experiences: Dinner is face-to-face, and the movie is shoulder-to-shoulder. It is really important for couples to tend to the relational needs of both the husband and the wife. This may seem like a fairly simple idea, but the practice can become challenging over time. This is an important concept for couples to understand. Men and women process relationships and intimacy differently. The quality of time spent together needs to be rationed to both his and her relational needs. I’m a huge advocate of consistent date nights for couples. Creating experiences that allow for both the fact to face and should to shoulder will go a long way in keeping both relational needs addressed.